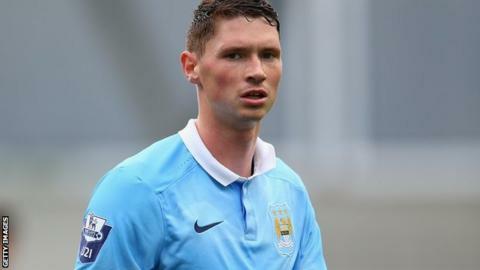 League One promotion-chasers Walsall have extended the loan of Manchester City midfielder George Evans until 9 January. Evans, 20, joined the Saddlers in October and has impressed with three goals in six appearances - including a debut strike in a 2-0 win at Barnsley. "It was a good opportunity for me to come here and I'm really enjoying my football," Evans said. "Playing week in, week out has been a great factor for me." Evans spent most of the 2013-14 season on loan at Crewe, scoring once in 25 games, and was back in League One for the second half of last term, scoring one goals in 16 appearances with Scunthorpe. The Saddlers are currently third in League One and could move back into the automatic promotion places with a win at Swindon on Tuesday.